If your case or law and motion matter does not settle, you run the risk of having a judge decide the issue before the Court. This is how they do it, but first, a few words about how court chambers function in this warzone environment that has difficult working conditions. It is important to understand that judges are overworked, and by some standards, underpaid for their long hours. Judges are human beings, and are not paper pushing robots. Because they see issues over and over again, they are bored with the mundane and like to hear interesting issues such as a product liability case where the air bags failed to deploy. Judges rely on their staff research attorneys a great deal to complete research and decide legal issues. The court also may have volunteer law school interns work on some matters assigned by the research attorneys. These interns work without pay, but may get law school credit in exchange for their service. The research attorneys will do extensive research, will work up the matter, and make recommendations to the judge. The judge may not have time and resources to read all or some of the papers that you file in court for a hearing. It may not be humanly possible to read 15 motions before trial starts. You retain counsel, spend money on attorney’s fees and costs, and you come to court and the judge has not some read or read all of your papers. This is an interesting phenomenon. Some judges may be good actors, or may admit “this matter will have to be continued so I can provide further review of the briefs. I will continue the hearing and take it under submission.” Some judges are honest about not having the time to read the papers, but other judges may fudge it. Other judges have read the papers thoroughly, discussed the issues with their staff attorneys, and may have certain additional questions about the evidence or the law. Other judges are concerned about new case authority that has just come out that may impact the result in the case because the authority is on point. Judges also rely on their courtroom deputies or calendar clerks a great deal to manage the busy court calendar. Now in superior courts, for unlimited jurisdiction cases, calendar matters are set through a computerized reservation system so courtroom deputies have to coordinate with the online system to get matters on calendar. The days of calling the courtroom deputy and reserving a law and motion hearing date are gone. It’s all done through a computer reservation system that spits out a confirmation. Some superior courts (like Orange County) also require that documents for motions and trial be filed and uploaded online, but the downtown Los Angeles courthouse has not yet implemented that type of filing system. In addition, judges rely a great deal on the attorneys before them for presentation of legal authorities and factual information. Attorneys are both officers of the court and advocates for their clients. When a judge asks for information or legal briefing from the attorneys, this is a great opportunity for a skilled attorney for persuade the judge on an important issue in the case. Judges may ask for a letter brief on a particular issue. For example, a judge once asked me for a short brief on whether a trustee of a private trust can appear in court without an attorney. I researched the issue and provided the judge with an answer and she appreciated my efforts. Judges and their staff like things to be brief, material, highly relevant, and to the point. That is why for bread and butter law and motion matters briefs should be no more than 10 pages double spaced. It is helpful for attorneys to have a ready reference summary of arguments section at the beginning of the brief. If the issue is not before the court, the court will not decide it that day. Judges generally decide what is at issue in the case and what is presented to them on that calendar day, no more and no less. 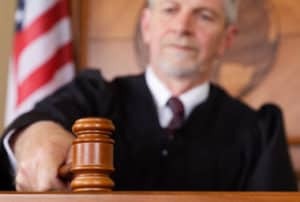 Judges also may rely on the opinions of expert witnesses that have appeared before them in the past, and have a great reputation in the legal and professional community. An expert witness is a hired gun that can testify about a specialized issue. For example, if there was a forgery you can call an expert witness to testify about whether a signature on a grant deed appears to be forged or not based on other samples. If the attorney can lay a foundation that the expert witness is qualified to be an expert in his or her field, and the expert will testify about a relevant subject in the case before the court, the court will allow testimony from the expert and court may rely on the expert’s opinion a great deal. For one basic example, expert witnesses are helpful in the task of calculating economic damage claims. If the judge likes the expert’s data and methodology, the judge may just adopt and rubber stamp the calculation of an expert when awarding damages in a bench trial. Believe it or not, judges are required and bound to follow several sets of rules and laws. Of crucial importance is recent state case law as furnished by the attorneys and the court research attorneys. The more recent and the more on point the better. Also of crucial importance is recent versions of statutes and recent changes to statutes that are written and enacted by the legislature. The law can change every year and can change quickly on a day to day basis when new appellate case law decisions comes down. Judges want to use the latest cutting edge case law to decide their cases. Judges and their staff attorneys use several books and texts for their research and they also may use high powered computer legal search data programs such as Lexis Nexis or Westlaw. Some books are designed and written just for judges to rule on the admissibility of evidence. Judges use and follow the treatise Rutter Group- Civil Procedure Before Trial for most pre-trial procedural issues. This handbook is the bible for pre-trial issues such as service of process, pleadings, discovery rules and procedures, expert witness procedure, pre-trial motions such as motions for summary judgment, and the like, and contain most nuances. The importance of this book cannot be understated. The book also may contain forms and checklists from different departments of Los Angeles Superior Court formulated by court research attorneys and judges to make sure that filed papers are in order. For real estate issues, judges also use Miller and Starr on Real Estate, a very detailed treatise on virtually every aspect of California real estate law. Courts tend to follow California Rules of Court very closely. The rules in the California Rules of Court are adopted by the Judicial Council of California under the authority of article VI, section 6, of the Constitution of the State of California, unless otherwise indicated. The rules in division 5 of title 8 and in title 9 were adopted by the California Supreme Court. These are rules that govern how attorneys and parties are to present and file pleadings, motions, declarations, and documents in Court. A party’s strict compliance with these rules can make or break a law and motion matter. You might have a great case, great facts, or an issue you can win on, but if you don’t follow the California Rules of Court your motion or defense may be denied. These rules must be followed in addition to the basic rules and statutes under the California Civil Code and the California Code of Civil Procedure, and other state codes. The California Rules of Court are available on line at http://www.courts.ca.gov/rules.htm in both html and PDF versions. Judges should also follow an isolated set of Local Rules of the Superior Court. The Rules are available on line at http://www.lacourt.org/courtrules/ui/index.aspx?tab=2. Judges frequently have rules and protocols that they prescribe for their own courtroom that are based on the local rules. For example, some judges want joint trial documents filed, others may not. Some judges may want live witnesses present for default prove up hearings, others may not. Judges oftentimes provide handouts in court for their chamber rules, and make the rules available online. These handouts provide important instructions on how the particular judge and court room want certain tasks handled in preparation for a trial. There are three important preliminary considerations that a judge may consider prior to making a decision on a civil matter. First, the court is interested to confirm that it has subject matter jurisdiction over the claim or the issue. For example, a family law matter such as a determination of child support should be decided by a family law judge, and not a court of general civil jurisdiction. Another important issue is whether a state court judge should decide claims under federal law in addition to state law. Should the case be removed and transferred to federal court or remain in the local superior court? Second, the court is concerned that it has personal jurisdiction over all defendants. Have all parties been properly served with the lawsuit and is the case at issue? Judges want all the parties to be served and to have all the parties responding or defaulted if they have not timely responded. Judges don’t like files sitting around with parties not put on notice of the proceedings. Third, does the party asserting the claim have legal standing to present the claim in court? For example, has the party asserting the claim suffered actual injury? In personal injury, products liability, and similar torts cases, a plaintiff who has been physically injured almost always has standing to sue the person or company the plaintiff believes is responsible for her injuries. There are entire treatises written about jurisdiction and standing. It is important to be aware that courts are always concerned with these preliminary questions, and want to sort these questions out, even before a discussion of the merits of the case can begin. In most pre-trial litigation there is no Perry-Mason-type high drama live witness testimony. Instead of live witnesses, judges use sworn declarations and exhibits to hear and consider evidence filed in court. For certain motions, like summary judgment motions, the courts can consider testimony from deposition transcripts. Declarations are signed under penalty of perjury and are based on the personal knowledge of witnesses. Declarations are the stock in trade for law and motion matters, and are prepared by attorneys and are signed by the parties, witnesses, or attorneys that are supposed to have direct personal knowledge. There are some limited exceptions such as default prove up hearings, but some judges want live witnesses and others may not. In trials, judges hear live witness testimony, and there can be interesting high drama if you are a spectator. When judges decide a law and motion matter, they also consider whether the evidence is admissible into the record. If the evidence presented in the form of declarations or exhibits is not admissible it will not be considered in the judge’s final ruling. Judges consider the detailed rules of admissibility of evidence, which for state court cases the rules are located in the California Evidence Code. One of the most powerful tools that parties have at their disposal is the use of evidentiary objections, to attack the admissibility of portions of a declaration. Attorneys will sometimes prepare evidentiary objections to attack and attempt to block the admissibility of evidence in the form of a declaration or exhibits. There are many formal rules of evidence and exceptions, and I will not delve into all of them here. Examples, include the hearsay rule and rules pertaining to relevance. When a judge is presented with evidentiary objections, the judge usually rules on the objections prior to the hearing. This ruling may be in writing and presented to the attorneys. The ultimate ruling can exclude portions or all evidence, or the judge can overrule the objections in their entirety. The role and function of oral argument in law and motion matters by attorneys at the Superior Court trial level is frequently misunderstood by the parties to a case and young attorneys. Some parties believe that if they hire an attorney to come into a court hearing screaming and yelling and banging her fist on the desk this will change or impact the result, but this is usually not the case. The bottom line is this – most judges have already worked up the case several days before the matter is called on the court calendar that morning. This work up is based on the sets of papers and pleadings filed by the attorneys in court at least 21 court days in advance. The quality, depth, and persuasiveness of the paperwork is key in law and motion matters. This work up of the case by the judge’s research staff attorney is a very important component of the court’s analysis. Very often, based on this work up, the judge enters the courtroom on the morning of the hearing with a tentative ruling. A judge has no reason to hear oral argument from counsel that just repeats the arguments presented in the papers. The judge may say, “Counsel, do you have anything to add that is not in your papers?” Oftentimes new developments occur since the motion was filed, and the court will want to be informed of the latest disposition. The court’s tentative ruling may be in writing or the tentative ruling may be orally stated by the judge. A written tentative ruling is available to the attorneys, parties, and the general public prior to the hearing. The tentative ruling is extremely important because the tentative ruling is the end product and result of the judge’s work up and analysis of the issue. It provides the judge’s analysis and reasoning on a particular issue. It will contain key facts and summaries of the positions, and it will contain citations to important statutes and legal authorities. The tentative ruling may be posted on the court’s website several days before the hearing, or handed out on a sheet of paper at the hearing. The term tentative ruling is exactly what it purports to be, it is tentative and is not the final or actual ruling of the Court. The Court will generally allow some oral argument by the attorneys prior to the Court’s recitation and decision of the actual final ruling in the Court room. The judge wants to hear from the attorneys who stand to lose on the issue when the tentative ruling is against them. The important thing to know is that usually judges may state that the “tentative ruling” is and becomes the “actual final ruling” of the Court. The trend and probabilities in the Courts is for judges to not waiver or flinch from their “tentative ruling.” If the tentative ruling favors one party- the Court may not hear oral argument from that party because that party may have already won the point of contention. So, some times, oral argument in the Courtroom may be a waste of time and resources especially if the oral argument just repeats, stresses, or highlights facts and legal arguments that were already made in the court papers. So, absent a dramatic change in factual circumstances or procedural posture of the case, one should expect that the general rule is that 95 % of the time the tentative ruling becomes the actual ruling of the Court. Sometimes, the Court may steer oral argument in a particular direction to asking the attorneys for facts or legal arguments that have not been presented in papers. If the issue is hotly contested and parties are watching the hearing and at each other’s throats or if the judge wants to do further analysis- the judge may say “I will take the matter under submission.” This is courtroom jargon for – “I will let you know my final ruling by mail and not today so there is no shooting in the court parking lot between opposing parties. “ To avoid a huge emotional outcry or sigh in the courtroom- the judge bypasses all that by “taking the matter under submission.” The attorneys and the parties leave the courtroom with the tentative ruling- but not the final ruling. The final ruling will arrive by mail. In law, there are different types and levels of “burdens of proof.” In a criminal case, the threshold is high- “beyond a reasonable doubt.” In a civil case the threshold is much lower- “preponderance of the evidence,” 1 % of quantum proof more than 50 % is a preponderance of the evidence for most civil law issues- tip the scale oh so slightly. The standard is met if the proposition is more likely to be true than not true, and the scales of justice are tipped ever so slightly. The standard is satisfied if there is greater than a fifty percent chance that the proposition and the element is true. Given the inefficiencies, risks, uncertainties and significant delays in litigating within the Los Angeles Court system, parties can consider hiring private judges, or arbitrators. I remember one case I had in Van Nuys Superior Court where every time we would appear the judge would suggest that the parties stipulate to retaining the services of a private arbitrator. The judge’s suggestion gave us a rather uncomfortable feeling that the judge did not want to do his job and wanted our case out of the way and off his desk. We declined the judge’s offer, and then we settled the case!